Fabric construction is one of the must have information when you are going to source fabrics for your garment designs. Fabric construction is one the primary fabric quality parameters. The weight of the fabric depends on the fabric construction. So, this information is essential for the cost estimating. 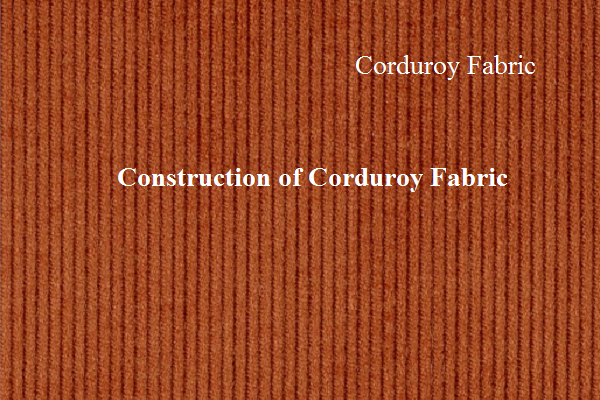 In this post, we have shared fabric construction of Corduroy and Chambray Fabrics. For an example for 26 wales construction 40*40 95*65. Various qualities are there for corduroy fabric. Chambray fabric is woven with a white weft and colored warp. Various qualities are there for chambray fabric. For an example, chambray fabric is available in 40s/110*70, 60s/110*88 construction. Also Read: How to read fabric construction? Fabric construction for corduroy and chambray fabrics.